" From breeding to training...what you need to know"
The pictures to the right of the text are in memory of the once very active Shaggi PONS Kennel. These dogs who lived to be 10-13 years old have all passed now except for Shadow,the present pet. the picture on the right is his puppy picture, but he is now about 7 years old. Memories abound as these were some of the very first of the Polish breed to be shown and bred in the United States. They were often the first seen by anyone in the U.S., at a time when they were still named after their Polish name, which is Polski Owczarek Nizinny. To join others in learning more about the Polish Lowland Sheepdog visit the American Polish Lowland Sheepdog Association . For merchandise for your PON or dogs in general vist the PONtique Boutique or the Amazon PONtique Boutique which is found at the PONtique Boutique. This site is sponsored by the American Polish Lowland Sheepdog Association. THIS SITE IS NOT SET UP TO SELL YOU A PUPPY! 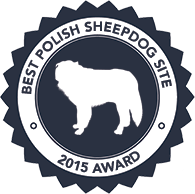 IT IS SET UP TO HELP GIVE YOU ACCURATE PL SHEEPDOG iNFORMATION and HELP YOU MAKE THE RIGHT DECIS ION, Is the Polish Lowland Sheepdog right for you? It is truly a great breed but at the same time it is not a breed for everyone or every family. Are you interested in a pet, or do you want to do more such as tracking and agility and more. The American Polish Lowland Sheepdog Association NEW WEBSITE is now up and running. Is the PON dog ,as the breed is sometimes called the right breed for you? To find out continue reading. smart,intuitive dog?Do you want to learn more about Polish Lowland activities for you and your PON dog. You want morePL Sheepdog information and this site will help you by giving you information and giving you additional resources as well. This site and its sister site which focuses on breeders and what to look for when buying any of the Polish breeds will greatly help you do your homework.What do you want from a Polish Lowland Sheepdog...a loyal companion to be a devoted family pet? Or are you someone who is interested in adventuring into tracking and agility and more? Your first step is to decide why you want a PLS and secondly, what Polish Lowland activities would you like to do: tracking and agility.rally, conformation, lure coarsing, therapy, barn hunt and more, or maybe your interest us conformation, dance or flyball. There are several Polish Lowland activities on the left for you to learn more about. The real question is, is the PL Sheepdog right breed for you? it may well be. Our sister site will help you in your decision on how to buy and train a puppy, but there are things you must first know. You want to find a good breeder,one who will give you honest, pertinent PL Sheepdog information before you make your final decision about whether this breed is the breed for you. You should speak with several breeders before making a decision so let's begin with a few pertinent facts. The webmaster first got into the PL Sheepdog over 35 years ago, and as such was one of the first pioneers in getting to know the earliest of the Polish breeds to be introduced in the United States. As one of the founders of the parent club she has been dedicated to promoting the breed while protecting its integrity for many years. She, along with 7 others, who were also Polish breed lovers and breeders, organized a club to both provide information to owners everywhere as well as provide a social network for breeders, handlers, and people who wanted a pet. The American Polish Lowland Sheepdog Association evolved from this early club . Her dogs as pets, even though she did show and breed, were most important to her and the puppies she bred were meant to go to good homes where the new owners understood what they were getting. Good breeding and good homes were foremost in her mind, even though she did enjoy showing her dogs. She has been an owner, breeder, and handler. She has bred several litters of puppies over time. She finished many champions. Her Polish sheepdogs were all among the foundation stock when the breed went into AKC where its present registry is kept. She has trained and showed her dogs in obedience as well. Today, having been in the PON dog breed for over 30 years, her prime interest is in helping promote and protect the breed which she hopes to do by helping to educate people. She lost her latest Polish Lowland Sheepdog,Shadow,who was a neutered pet. While still very active in the breed, personal reasons have limited her ability to show and breed. Her goal is to help you find the right breeder and the right puppy. Most puppies in the breed go to good "pet" homes where they are loved and adored. Finding the right home for the right puppy is most important. Socializing and training your puppy are the keys to a wonderful adult dog. Question is: Is the Polish Lowland Sheepdog right for you? learning as much as you can about the breed!